The Power over Ethernet (PoE) injector is a mid-span power injector designed and tested for use with all IEEE802.3af compatible PoE Powered Devices (PDs). 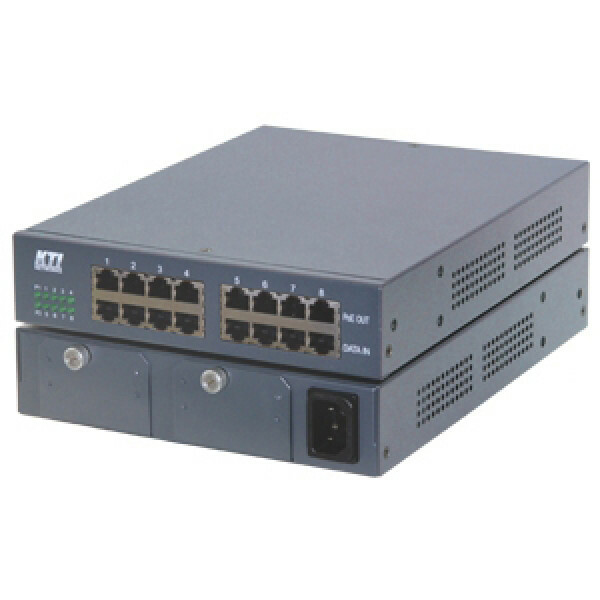 The PoE injector sits between a switch port and the PoE powered device, providing inline power capability to an un-powered switch port. The injector provides modular power design. For high power applications, the injector can be installed with 2 power modules to support full PoE power up to 120W for eight powered devices. For low power applications, the injector can work with only one power module and support PoE power up to 60W for eight connections. This flexible modular power design provides cost-effective solutions for different requirements. - IEEE 802.3, 10Base-T, 100Base-TX, 1000Base-T std.